This is a safe and effective whole food cleanse with group coaching sessions. We will have a group start on April 23rd, but you are welcome to start at your own pace after the group start. 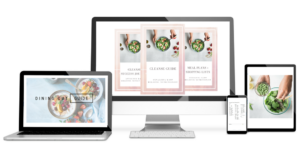 Enjoy a delicious and simple meal plan, accountability check ins, weekly group coaching sessions, and I’ll be available throughout your cleanse for any questions on our private Facebook community! For thirty days you will have a creative and delicious salad recipes with mouthwatering healthy dressings, along with weekly shopping lists, pantry essential for perfect salads and loads of enlightening nutritional information. Each recipe is composed of vibrant whole foods with gorgeous pictures! Discover new greens that you may have heard of but don’t know what to do with! 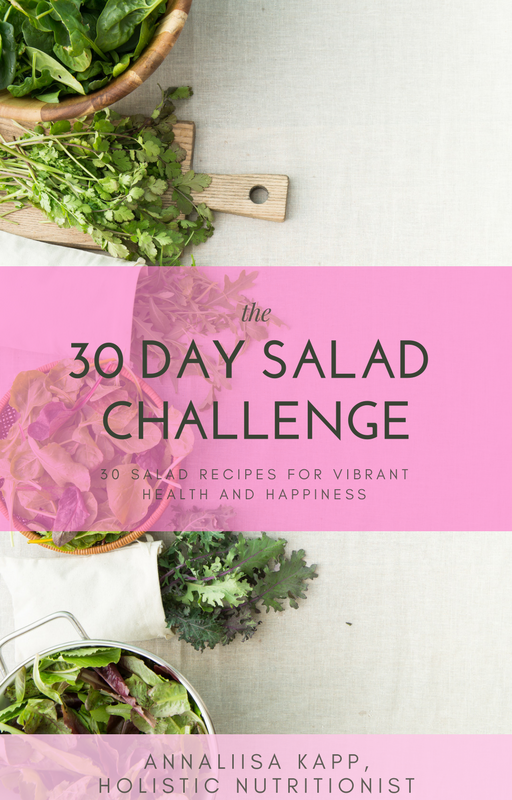 Be motivated and inspired with new salad creations for 30 days! Life is too short to feel anything less than positively fabulous! The hectic pace of life, poor nutrition and lifestyle choices, and everyday stressors are enough to get anyone into a rut. 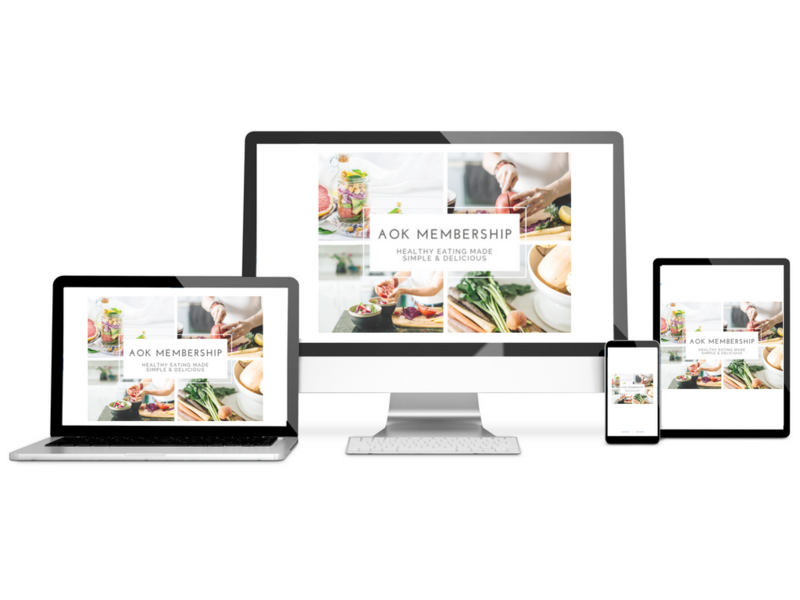 Our Seasonal AOK Membership gives you the necessary tools to empower yourself to feel healthy, organized, and fabulous!! Feel fully supported with seasonal meal plans that will help get you back to feeling your best, while helping to prevent future health problems. Gain empowering knowledge with seasonal nutrition seminars. Feel at ease and relieved on your nutrition plan – finally get through your day without the bloat and heartburn! Feel confident in how and what to eat, without feeling deprived or like you are missing out on family events, travelling and dining out. 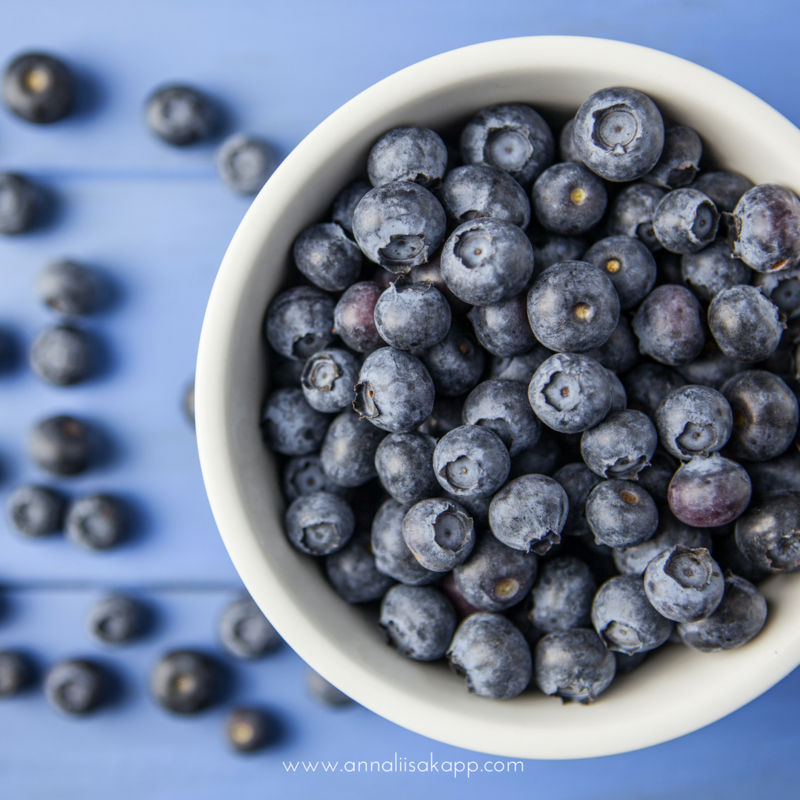 Improve the quality of life with more energy, better skin health, and optimal weight. Save money with detailed shopping lists and meal plans that will help reduce food waste. Feel motivated and inspired with beautiful and delicious meals!